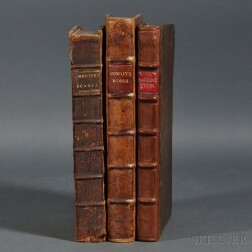 Save your search - find out immediately when "Philip Sidney" is available at auction! Sidney, Sir Philip (1554-1586) The Countesse of Pembrokes Arcadia. Sidney, Sir Philip (1554-1586) The Countess of Pembroke's Arcadia. Lot of Two Engravings: George Vertue (British, 1684-1756), The Right Honble. Sr. Robert Raymond Kt.